The redevelopment of the former metal salvage yard is a huge success because the property was a blemish in the community for decades until redevelopment created the Commerce Corridor. The new Academic Center has high visibility and is serving as a catalyst to spur additional redevelopment along the Commerce Corridor. All this information will be available in ACRES. Do you know about www.ACRES Information? The ACRES dedicated webpage should be bookmarked on every computer with the privilege of using ACRES! The right hand side has an easy link directly to the ACRES log in page so you don't have to remember the CDX url. The lower right hand side features quick reference guides and accompanying videos demonstrating main features and answering common question about using ACRES. The lower left hand column provides links to general information about ACRES and the Brownfields Program. Finally, you will see a link for the annual training schedule. SRA provides training monthly, rotating two presentations, one for beginners and another for experienced users. Presentation slides for the trainings are available on our website for your review if you are interested in learning more about ACRES. Speaking of training, EPA HQ and Region 1 traveled to Denver to provide ACRES training for EPA project officers and 128(a) Tribal recipients during the annual Region 8 Tribal workshop. Both the workshop and the ACRES training were a wild success. For the Project Officers, we walked through the Home screen, highlighting the Regional Status tab, demonstrated the new features in the Project Officer module, and discussed what to look for when reviewing a work package and how to spot potential errors. It was a lot of fun. The POs didn't want to leave at the end of the day! For the cooperative agreement recipients, we walked through the CDX registration to access ACRES, associating cooperative agreements to their account and properties to those cooperative agreements, finding properties to make sure there are no duplicates (this is especially important if EPA performed a TBA in your community), and entering property specific data. If you are interested in having in person PO/recipient training at your next event, please contact Rachel Lentz at 202-566-2745 or lentz.rachel@epa.gov to discuss availability. The 2012 Grant Fact Sheets were uploaded on Thursday, May 24th. The EPA announced $69.3 million in new Brownfields awards for assessment, clean up, and redevelopment activities to 245 recipients. In addition, $3.8 million has been awarded for Multi-Purpose Pilots which will help nine recipients to revitalize their communities. The EPA also awarded $3 million to 15 programs through the Environmental Workforce Development and Job Training (EWDJT) program. Concerning the EWDJT, Mathy Stanislaus, assistant administrator for EPA's Office of Solid Waste and Emergency Response, said "People want and deserve both a healthier environment and greater economic opportunity. This training program for environmental jobs has a proven track record. Approximately 71 percent of graduates find employment in environmental fields that serve local communities." It's now possible to copy user Cooperative Agreement (CA) information directly from one ACRES user to another. This is a wonderful time saving tool for situations where a new CAR needs to have many CAs added to their account (CAs can be copied from multiple CARs) or when a CAR is taking on responsibility for another CAR's CAs. The second feature allows for the easy consolidation of duplicate users. Called the "merge and purge process", once completed for a specific duplicate, all work package information from the duplicate is reassigned to the remaining CAR user, and the duplicate account no longer has access to ACRES. Contact the Help desk to have either of these functions performed. Sponsored by the EPA. Be sure to put this on your calendar for next year. More details will be provided as the event nears. 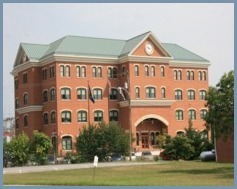 The Veiner Metal Salvage Yard in Ranson, WV has been redeveloped into a facility for the American Public University System, an online learning company. The property reported that engineering controls are in place and redevelopment is complete with a new LEED certified building. The property reports 0.69 acres reused, 140 jobs leveraged and $12 million in private resources leveraged. Where Is Your Brownfield Located? 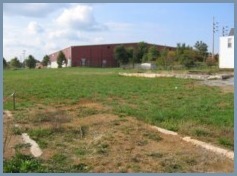 Accurate geographic location information about Brownfields sites is a critical component in the system's ability to demonstrate where EPA's resources are being spent and how our recipient communities are benefitting from our funds. Always remember that all of the data in ACRES is openly available to the public through Cleanups in My Community (www.epa.gov/cimc), a public website where anybody can query the system to list and/or map sites in a community that have been affected by Brownfields, RCRA, Superfund, or other EPA programs. Since our ACRES data has such a high degree of public visibility, ensuring its accuracy is an important responsibility of every Cooperative Agreement Recipient (CAR) and Project Officer (PO), and this job starts with making sure our sites are in the right place. In the past, ACRES required that latitude and longitude values be entered for every property, as well as having the user answer questions about the geodetic datum, reference point, and horizontal collection method. Users without a strong background in geographic information systems often had difficulty with this section, leading to data quality issues. Thankfully, we were able to greatly simplify this section last year, with ACRES needing only a valid street address for most sites. In the Property Background Information field, ACRES will use an embedded Google Maps application to calculate the latitude and longitude. As soon as the user enters the street address, city, and state, the system will locate the site based on that information, and auto-populate the latitude and longitude fields. Better yet, a street map with a pinpoint icon will appear to the right, showing where ACRES is locating your site. In most cases, we have found that this method works very well, and sites are located much more accurately than they were in the past. Look to the right of the street map with the pinpoint, and click where it says "Edit Fields". Check the "Ignore Address Validation" box. Type in the latitude and longitude in decimal format. Please remember to include the minus (-) sign in front of the longitude, since most of our sites are in the western hemisphere! Click the Tab key (once or twice) so the changed latitude/longitude is processed. 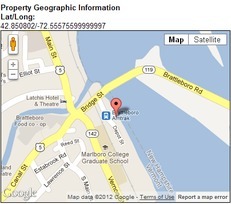 Check the pinpoint icon on the Google map to see if the location is now more accurate. If the site still isn't showing up in quite the right place, you can adjust your latitude and longitude values and repeat as necessary.